For the final recipe of our holiday cookie kit, I’ve prepared a traditional German Christmas gingerbread cookie, or Lebkuchen. 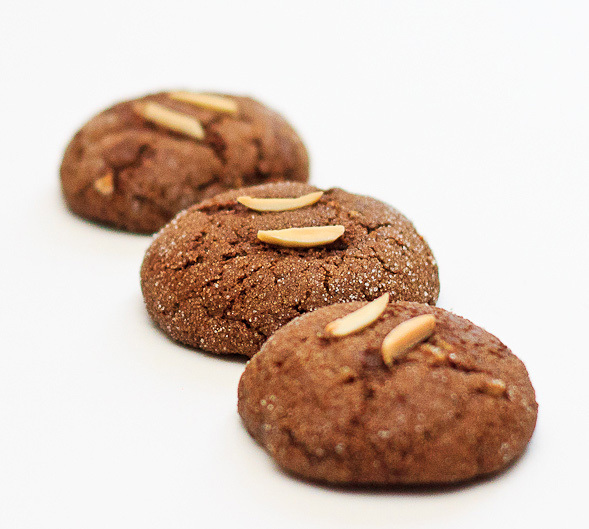 Created by medieval monks, lebkuchen dates back to the 13th century in Germany and Switzerland. 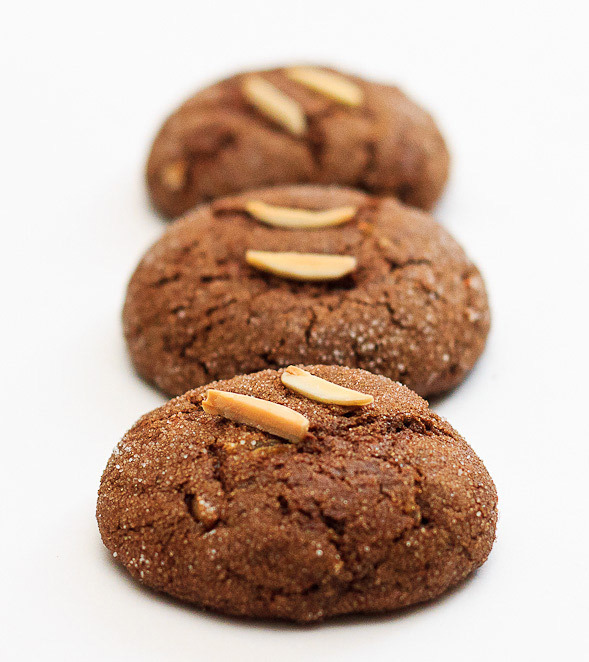 My version is made of ginger, molasses, almond extract and a good amount of spices like cloves, cinnamon and nutmeg. These cookies are soft on the inside and slightly crunchy on the outside, the perfect compliment to include in our holiday cookie kit. 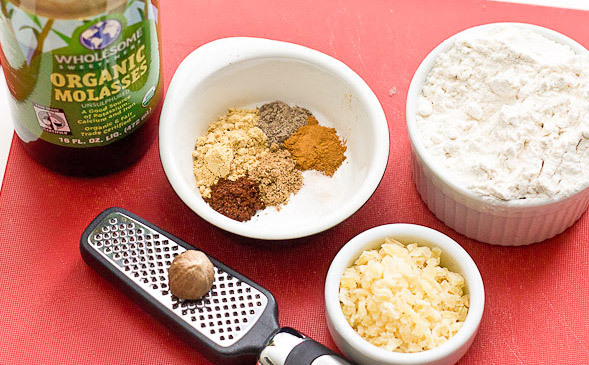 Depending on your preference, you can add more or less spice. 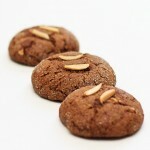 For embellishment, I topped the cookies with some slivered almonds. 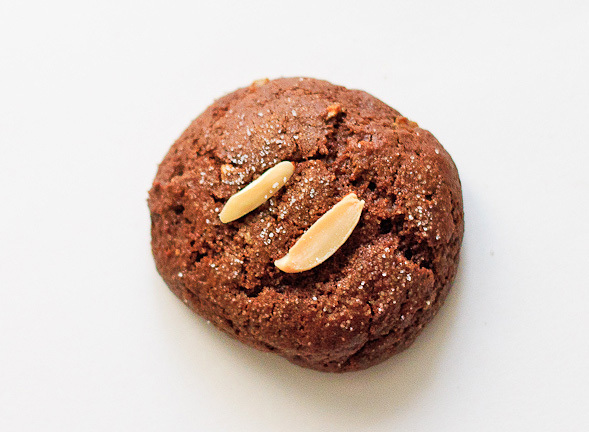 The three other recipes in the holiday cookie kit are Appetite for China’s Green Tea Shortbread and my Cranberry Pistachio Biscottis and Mexican Hot Chocolate Chip Cookies. 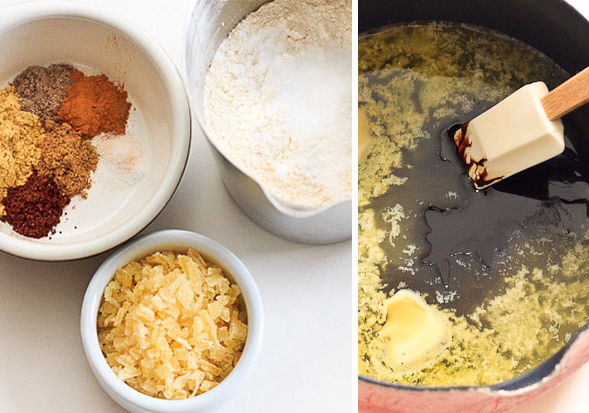 Mix together spices, chopped ginger, brown sugar and flour in a bowl, then melt butter together with molasses. 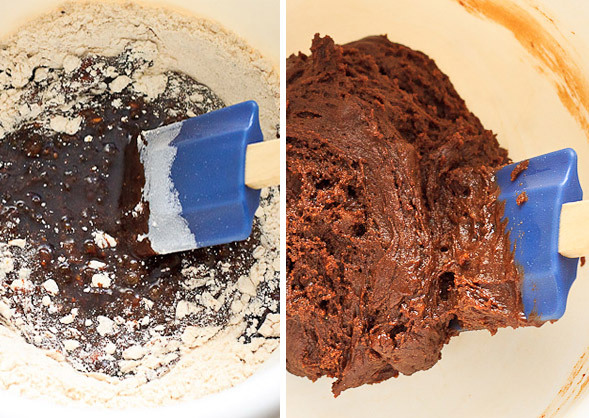 Pour butter and molasses mixture into the dry ingredients, then mix in an egg and almond extract. Combine well. Form dough into balls and roll in sugar. Top with slivered almonds and bake for about 18 minutes. Preheat oven to 350° F. Lightly grease and line cookie sheets with parchment paper. Place chopped crystalized ginger in a large bowl, then mix together with flour, brown sugar and spices. In a small saucepan on low heat, melt the butter and molasses together. Take off heat, then stir into the dry ingredients with an egg. Mix till it forms a stiff dough. Cover bowl with plastic wrap and cool to harden a bit in the fridge for about 10-15 minutes. 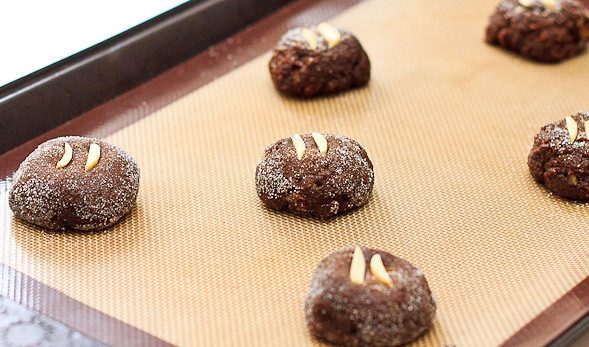 With your hands, roll the cookie dough into balls and roll balls around in sugar. Place on the prepared baking sheets with about 2 inches apart. Slightly flatten the balls with your fingers and top with a couple of slivered almonds on top. Bake for about 16-18 minutes until crisp on the outside and moist on the inside. Cool cookies on wire racks and store in an airtight container. I am from Germany and I love Lebkuchen! I bet yours taste just as good, they look so delicious! Danke, Julia 🙂 Can’t stop eating them…I love all German desserts! Tschüss! I agree 🙂 Thanks so much, Sadie! This is what I want!! lol Do you have a recipe for pfferenuse?? I lived in Germany for a year and I absolutely loved these! I still always treat myself to some at Christmas, it would be nice to be able to rustle some up whenever I liked! German Gingerbead does not use molasses or regular white flour. Original recipe uses Bread flour, Rye flour, Honey, Eggs, Magarin, Powdered Sugar, cinnamon, ginger, nutmeg and cloves. To keep it soft they use Baker’s Ammonia. This recipe looks delicious! I am looking to make this for Christmas with my boyfriends family this year as they are giving Christmas dinner a German theme. There are two young boys in the family that are allergic to nuts and I am having a hard time finding something to make that is nut free. I noticed this recipe has almond extract in it. Is it possible to leave that out or would it affect the taste? Thanks.